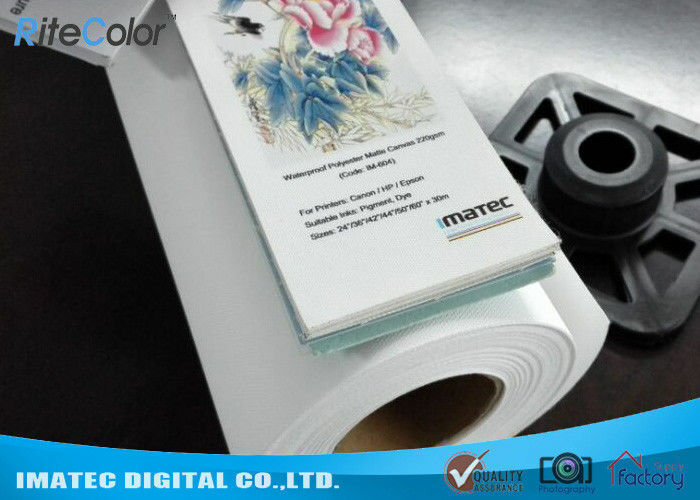 IM-604 is a 100% polyester canvas, 300D*300D, 220gsm, matte surface. It's suitable for pigment ink. You can use Canon, Epson, HP and other waterbased printers. IM-604 is waterproof, no-tear, good-vanish and instant dry. It's widely used in stretched canvas for indoor decoration. This elegantly textured canvas features a matte non-reflective surface with a bright white point, exceptionally high Dmax and wide color gamut. 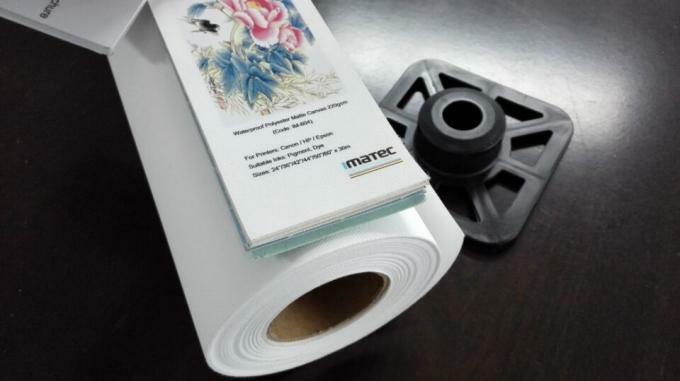 The canvas is acid-free, lignin-free and the base is enhances with elastic polymers high tensile strength and flexibility for gallery wrap stretching without cracking.